MOV player is a simple, easy and effective tool that allows you to play video files which are in MOV format. If you are looking for a MOV player online you do not have search anymore! This software app is all that you need to play your MOV files without going through any hassle. This free MOV player gives you the freedom to view MOV files in the simplest possible way. Want to view your favorite videos in high quality? Download this best MOV player! MOV player is a smart tool! Being one of the best MOV player tools out there, it allows you to import the video files to the list using a file browser. It supports drag and drop feature and is very smart tool. 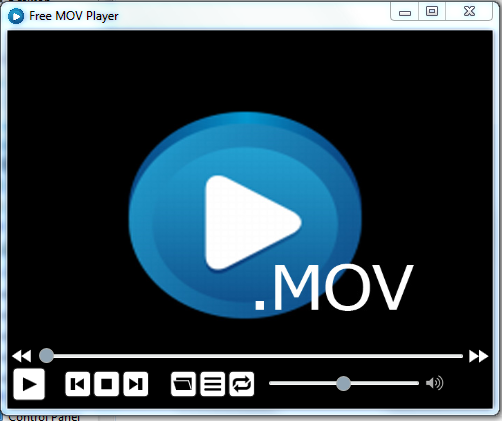 So download this MOV player for PC and view your videos like you never did before! Once you download and install MOV player, you can enjoy of great features of the media player. Stop, pause, adjust the volume, switch to full screen mode and more, there is much more that you can do with this player. The free MOV player is ideal for those looking to play MOV files. To play your favorite videos all you need to do is click! But that is not all. This tool gives you the power to create and save a playlist as well. You can use a search function and enable the software app to save the current list. If you wish, you can also clear the whole list or queue or delete any particular item from the list. So many features makes this software one of the best MOV players out there. While this free MOV player features no help file, it is very easy to use. You have to follow some simple steps to play your favorite files. Besides, you can also search for any particular file from the list using a built-in search tool. Even if you are not a tech geek you will have no trouble using this tool. MOV Player is a perfect video player for all. Since MOV player does not include any tricky or complex steps you will be able to use it at once. You do not have to wait to learn and get a hang of it like most players out there. That's why it makes a great tool for people from all walks of life. The tool is too simple so you can get started like flash! The easy-to-understand software interface make it a perfect choice for all. Even for beginners MOV player is an ideal software app that offers the ease of playing MOV video files. When it comes to playing videos and we at Media Freeware understands this need of the users. So while designing this app we have given special attention to the quality of videos. It means that with the help of this tool you can enjoy great quality videos. So download this wonderful too and cherish your favorite videos even more.